In a victory for neckbeards everywhere, the National Federation of State High School Associations (NFHS), the governing body for more than 17,000 high school athletic programs across the country, has recommended its schools institute esports as an official athletic activity. Yes, nerds, competitive video gaming is going legit. Or should I say, more legit, as the world of esports has already bloomed into a nearly-billion dollar industry and competitions are now held in esports-specific arenas and televised on ESPN. But there’s something about turning esports into an official school-sanctioned and -funded athletic program that elevates video gaming even further out of its mom’s basement and into something more culturally substantial. The NFHS announcement places gaming right alongside varsity football, basketball, wrestling, water polo and all other sports we traditionally associate with the Chad-like, alpha male, high school jock archetype. And I don’t think it’s an exaggeration to say this signals a formal upending of that pre-existing power structure, where jocks were the de facto rulers of campus. This transformation has been underway for more than a decade, but this seemingly makes it official. And it conjures up almost unfathomable images of skinny (or severely overweight) basement dwellers strutting through the halls in letterman jackets, with League of Legends patches stitched on the back. To get a better sense of this cultural shift and the larger public health implications, I spoke to an esports competitor, a pediatrician who specializes in children’s media-consumption habits and a high school football coach about what they think about esports as a high school sport. I’ve been playing video games my entire life, and now I compete in Tekken. I’m not an elite esports athlete, but I’ve won a couple local tournaments. The growth of esports has been great, but I have concerns about it becoming a high school sport. The top Tekken players have to practice 8, 12 hours a day, and I think schools would rather have kids studying than constantly playing video games. When you think about high school football, for example, a lot of the players are playing under the assumption they’re going to go to Alabama and get drafted into the NFL, but that doesn’t happen. The same is true for esports. It’s a blossoming industry, but you need to have other hobbies and skills because few people are going to be able to do it professionally. Not to mention: What happens if YouTube and Twitch aren’t popular in 10 years and go away? I’m also worried about this reigniting the old violence in video games debate. One of the most popular games right now is Overwatch, and it’s all about running around shooting people. I’m not sure how people will react to that being played in the high school basketball gym, especially given the climate around gun violence in the country right now. That said, it’s great that gamers are no longer considered nerds. 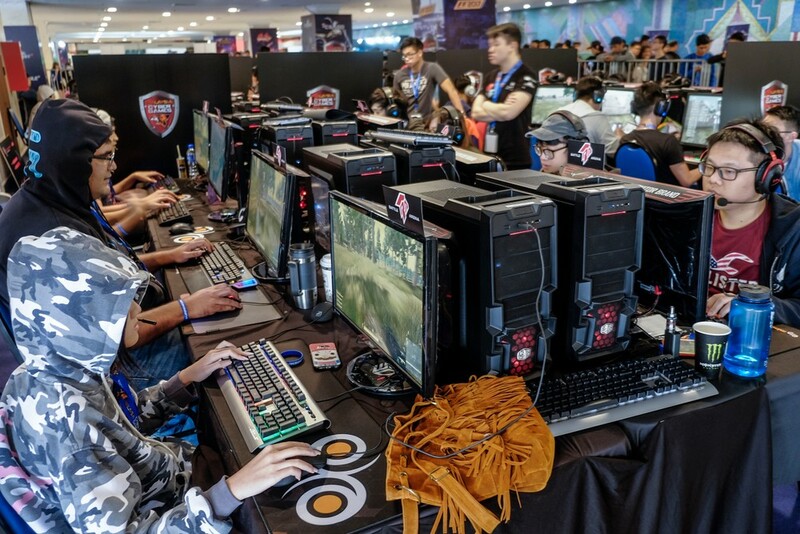 Esports becoming a high school sport proves that everyone is a gamer now, from the mom playing Candy Crush on her phone during work breaks, to occasional competitors like me, to Twitch personalities and full-time esports athletes. Esports also will offer a chance for gamers to socialize. A lot of gamers are socially awkward, but having them be part of a formal team will give them a chance to come together in real life. I’m not an expert on obesity, but I’m a pediatrician. And while we know that passive TV viewing seems to promote obesity — and that one of the only proven ways to cut back on childhood obesity and increases physical activity for kids is to decrease to TV viewing — the same can’t be said for video games. The studies exonerate video games as causes of childhood obesity. Harvard Public Health Professor Michael Rich led a landmark study where researchers gave kids video devices and asked them to record a video of the media they were consuming at various times throughout the day. The kid whose primary screen experience was passive television viewing tended to be more obese. But for kids whose primary screen time was using a computer for homework or playing video games, there was no connection. That doesn’t mean we don’t have significant health concerns about the overuse of screens. You’ve probably heard about blue-enriched light. Blue-enriched light tells the brain, “Hey, wake up!” This makes our screens look pretty and bright, but it also interferes with our sleep. There’s excellent data associating bedtime screen data with interrupted sleep patterns. Sleep disruption has a profound effect on attention, behavior and weight gain. This is exacerbated when you’re a teen, and you have a natural tendency to go to bed later and wake up later. The other major concern we have is internet gaming disorder. This isn’t a formally recognized addiction, which is an important distinction. But it’s still significant, because this can be a compulsive behavior for kids. Of course, anything can be done to excess. The risk for video games is greater, however. There aren’t a lot of kids playing soccer until 2 a.m. in their backyards. With video games, there’s considerable risk of kids playing to the point of where they’re putting their academic careers and health at risk. Obviously, there might be some positive health effects of esports in high schools, too. If you look at what we know about concussions right now, we can say that esports are safer and better for you than high school football. So that’ll be an interesting discussion to see play out. Similarly, there’s some research about esports helping people’s hand-eye coordination and their spatial awareness. The most immediate benefit, however, is a social one. We imagine video games pulling children away from social interactions, but the truth is, most kids play with their friends from school. There’s no reason to think that competitive gaming wouldn’t foment the same strong relationship physical sports do. Video game clubs are great — in moderation. Some kids are really into them and enjoy the camaraderie. But considering video games an “athletic activity” gets me shaking my head. I don’t even feel good about using the verb “gaming” — it misrepresents what’s actually happening. It’s way too active of a verb. There’s nothing athletic about playing a video game. Whoever invented the term “esports” is mutilating the term “sports” to suit a made-up niche. And I don’t believe you can call esport-ers “athletes” in a traditional or non-traditional sense. It’s like calling an ostrich a non-traditional flying bird. I have no idea what effect this would have on other high school sports. I’m still baffled it’s a thing we’re talking about. We have professional video game players who are making more money than scientists trying to cure cancer, teachers mentoring the future of our country, doctors saving lives, firefighters running into burning buildings and so on. It is just a wild world we live in. Mostly, I’m sad for the kids. I remember when my house was “closed” whenever the weather was nice. We literally weren’t allowed inside. We made up games, played with real humans, developed interpersonal skills, honed our non-verbal skills, scraped our knees (and realized we were just fine), made social-emotional connections, developed social intelligence, practiced empathy, took non-virtual risks and developed grit. I think these kids are missing out.